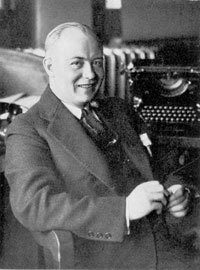 Louis Seltzer was editor of the Cleveland Press from 1928-1966. This web edition of Mr. Seltzer's 1956 autobiography is presented here with the permission of his estate. This edition contains all the information and images found in the book, along with some enhancements developed to aid in navigating this site.